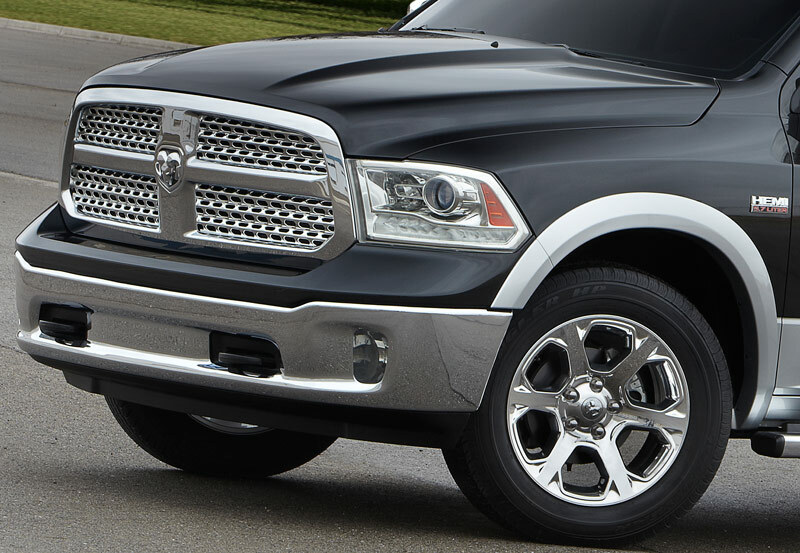 Ram is Chrysler’s newest brand that focuses on trucks. The big, towing, working, manly kind of trucks. Ram isn’t exactly new, though, is it? Their models are ones we are all quite familiar with already, so it’s pretty much a case of Chrysler just taking away the “Dodge” part of the name. The 1500 half-ton especially has been a familiar sight everywhere from hauling hay bales at ranches to pulling trailers at race tracks for years now, so the 2013 model is nothing too exotic. In the case of our test vehicle, though, equipped with the quite expensive and lavish Laramie Longhorn package, there was nothing stale or tired about it. In fact, even just driving it around town made us almost want to start Pickup Truck Digest. It really did make that much of an impression, and it’s not just us, either. 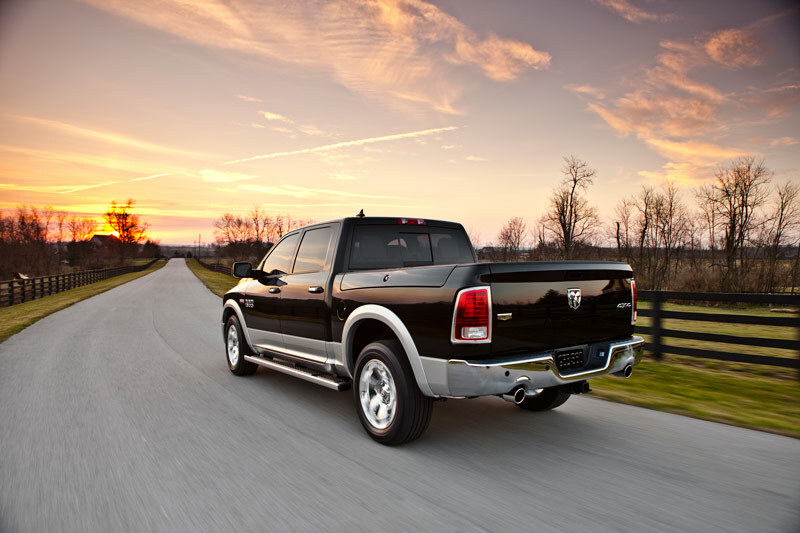 Ward’s named it one of its ten best interiors for 2013 and remember, this is a pickup we’re talking about. What is so great about this thing, then? Other than some badges the Laramie Longhorn version doesn’t look much different from a normal 1500, and there’s nothing wrong with that, really. Pickups that try too hard to be flashy (Chrysler’s own Dodge Ram Rumble Bee from a few years back comes to mind) tend to look kind of over the top, so the relatively restrained looks on this particular truck were fine by us. One thing of note on the exterior are the “RamBox” lockable storage trunks, one over each rear fender. They’re not cavernous, but they are really handy for small and medium-sized stuff like hunting and fishing gear, beverages or hedgehogs, making you wonder why all trucks don’t have these. With the package on this truck, though, it’s what’s on the inside that counts. Calling it “cowboy chic” would probably be an insult to actual cowboys, but the temptation is there. There are Western-looking details throughout, and they all have a clear, quality look to them. For the eye-catching wood trim, Ram has used an interesting Walnut grain with a unique burl that was apparently first discovered by ranchers who, after planting trees as fence posts, noticed a really cool swirl pattern as the trees grew over the rusting barbed wire. As for the leather, it’s a deep, rich brown and overall the interior takes cues from things like saddlebags and antique furniture. That certainly shows, from the premium-looking trim to the back seat map pockets that look like an old letter carrier bag. It’s even been said that the instrument cluster looks like a chronograph, and we’re inclined to agree. Who expected this much attention to detail from a Chrysler product? 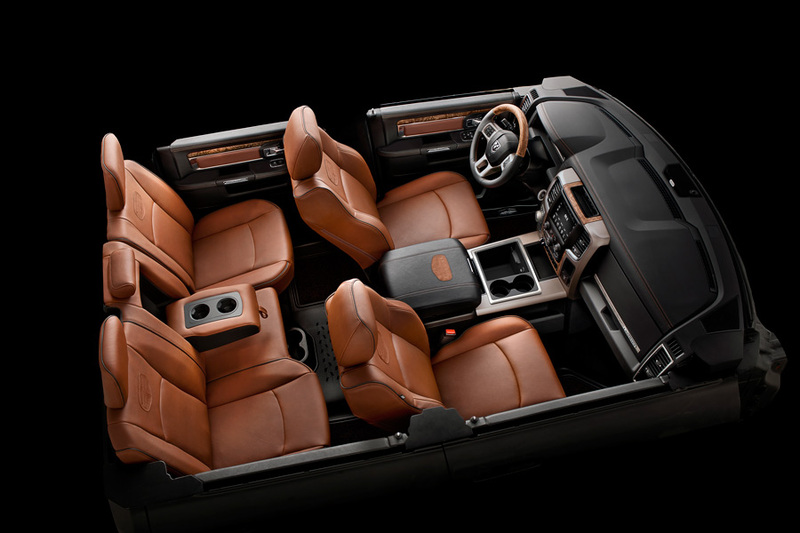 The interior of the Laramie Longhorn 1500 doesn’t end with fit and finish, as there are plenty of other perks to make it stand out in comfort and convenience as well. There are heated and cooled front seats, heated rear seats and steering wheel, a rear view camera, a sunroof and the Uconnect connectivity system that includes navigation. There’s also a rotary shifter for the eight-speed automatic, kind of like the ones on newer Jaguars but mounted up near the instrument panel instead of right on top of the center console. And as far as interior room goes, this full crew cab is just as spacious inside as it looks and seems up there with just about any four-door luxury car. To sum it up, this package makes for an interior that is just cool from top to bottom. It’s undeniably unique, has a premium feel to it, and despite having a somewhat classic look to it there is more than enough comfort and technology. This is a space that you won’t easily forget. Driving the Ram 1500 doesn’t bring any big surprises. It’s a massive pickup truck and it feels like it, but with 395 horsepower and 407 lb/ft of torque from the 5.7 liter HEMI, there is enough power to go around and then some. Zero to 60 came up in roughly seven seconds flat. That’s darn near the top of the food chain in the ’80s. And you could still light up the tires if you feel inspired to lay down some rubber. 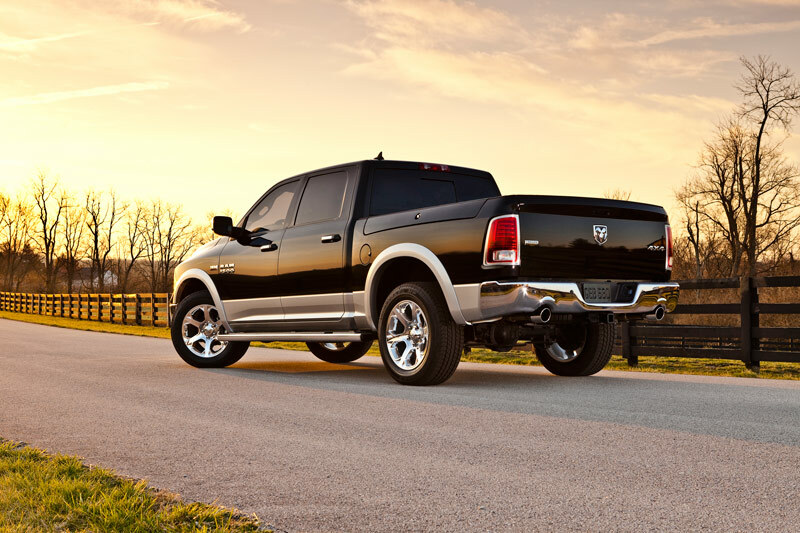 The Ram’s class-exclusive air suspension features a load leveling system that automatically detects load on the suspension from a trailer or payload. The air pressure increases until the vehicle reaches normal ride height, leveling the truck and improving the loaded ride. Additionally, a separate button on the key fob gives you the ability to manually lower the truck, allowing for ease of passenger entry and reduced tailgate lift-over height. 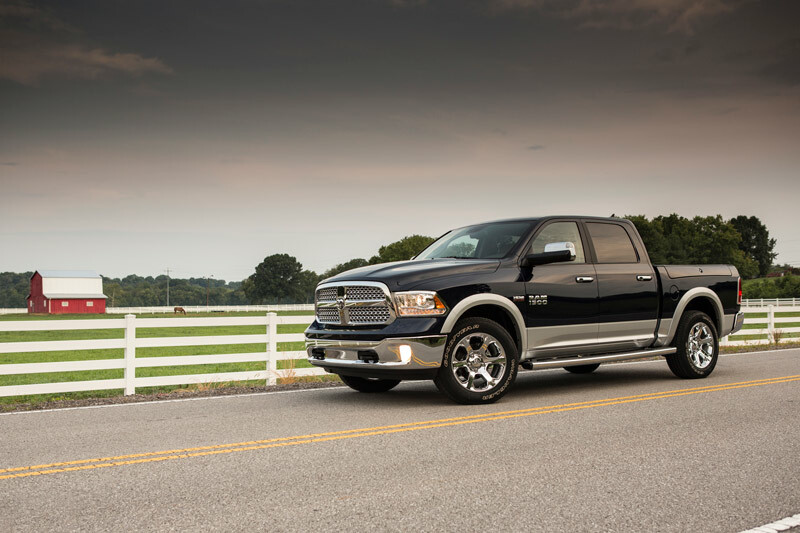 (Because cowboys are gentlemen, too…) On the road, the 1500 Ram handled fine for a behemoth 5,600 pound truck. We didn’t push it, of course, yet we did benefit from the cushioned ride from the four-corner air springs. The big takeaway from this vehicle is that stellar interior. 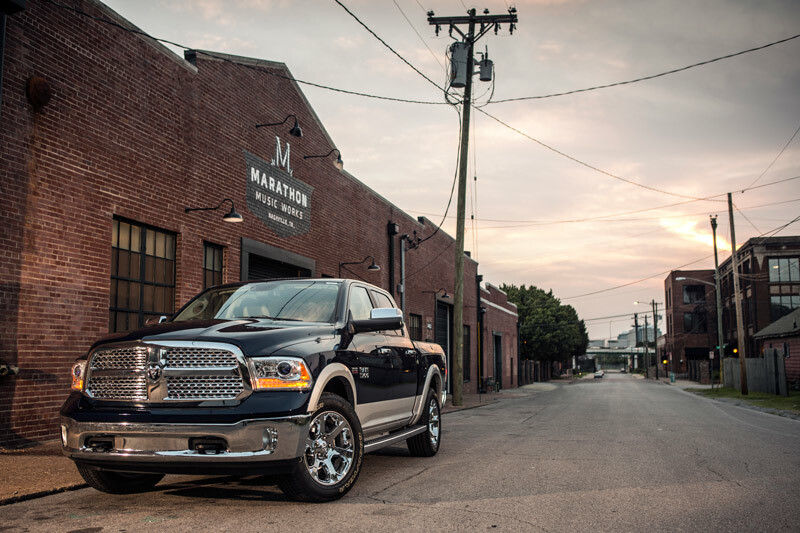 The Laramie Longhorn package doesn’t disguise the fact that you’re driving around in a Ram 1500, but it still makes driving it feel special, like you’re traveling in something rather expensive. Well, that’s because it is expensive. Our test vehicle rang in at over $55,000, and while that would ordinarily bring a rush of other, more exotic cars that could be had at such a price, this time it just didn’t matter. At times we had to question our sanity for liking it so much, but this particular pickup truck was just too cool to resist.